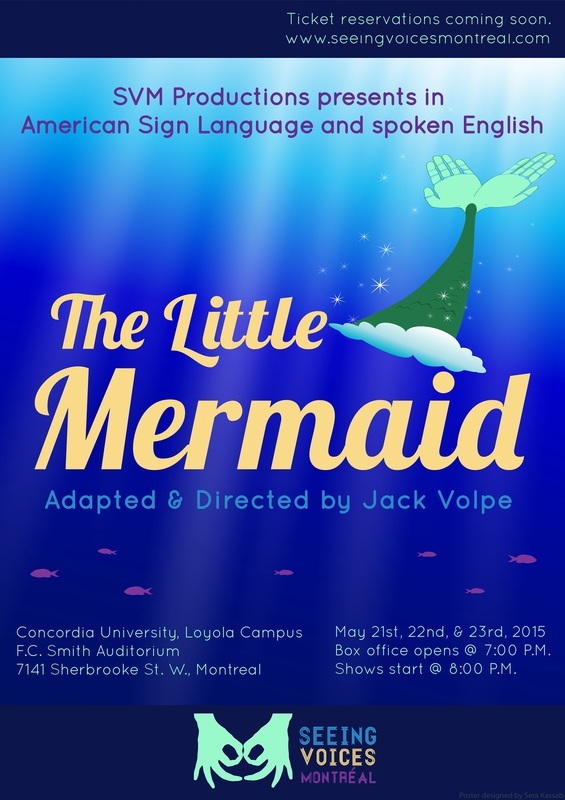 SVM presents "The Little Mermaid" in American Sign Language and spoken English, directed by Jack Volpe. In this adapted version of the famous tale, Ariel searches for love and acceptance in a foreign land. Can the city of Atlantis and its mysterious merpeople convince their princess to stay? Join us and experience the clash of Deaf culture and mainstream society in the most unique and realistic portrayal as of yet. All doors open 1 hour before the show starts. Special seating for the Deaf and hard-of-hearing is available. Thank you for supporting The Little Mermaid!